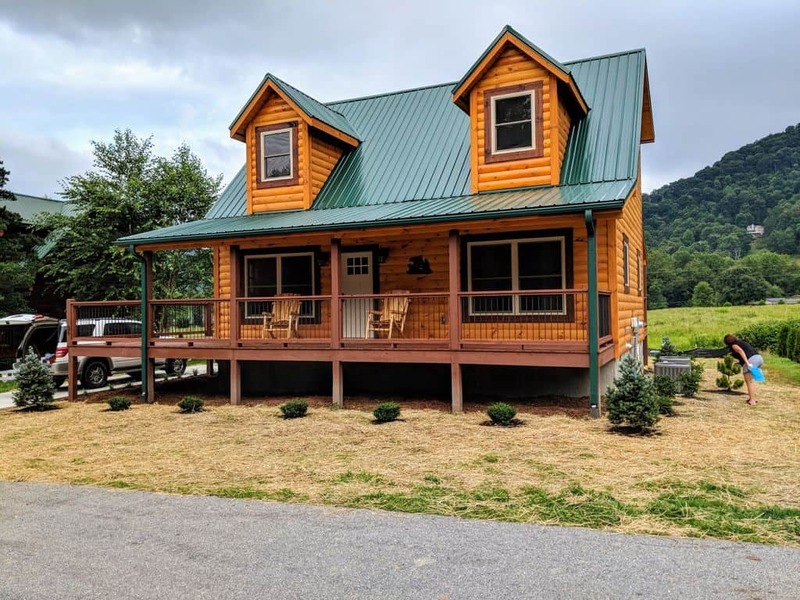 The cabin is cute as a button with a staircase made of mountain laurel, stone fireplace, large loft and family room, and kitchen with granite counter tops. Awesome views with a wrap around porch! Picturesque setting with unobstructed year round wide open mountain views. Big Bear cabin has approximately 1450 sq feet of living area, plus it has a large wrap around deck in the front, back, and side. The cabin has rustic charm with an amazing mountain laurel weave staircase. Custom stone fireplace turns on at the touch of a button, large loft and family room, and kitchen with granite counter tops. Relax on the wrap around porch and watch the lightning bugs in the meadow with the mountains as a backdrop, simply beautiful.